Christmas ideas: Animatronic Elvis. Every home needs at least one. Reconstructing America. No Pasaran likes Ceasar's book. Quickies: What can be learned from speed-dating? And so doggerel becomes thoughtcrime. How long before this happens here in the States? Not long I suspect. Hmm, should I have typed this? Is it evidence of a propensity to crime? You aren't part of the solution - so you are part of the problem! I will waiting patiently for the gentle agents of correction to arrive and begin the healing process. If you reference Miss Malik's poetry; her speech is clearly not innocent doggerel but assault which has been punishable under state statutes. Off to the slammer with her. I think she'd look better in pink. Words are assault? In my state, specific threats to specific individuals in and of itself, is a misdemeanor. Following thru with action is assault. Accepted that many forms of commercial speech are regulated and that fighting words is always a common law defense. Even works sometimes. Disorderly conduct (loud profane speech) gets you a bed for the night. There are also civil sanctions such as was used to financially ruin the Klan and similar groups. Ultimately your freedom of speech ends when I refuse to listen. However, the Founders understood citizens have the right and duty of rebellion against unjust government. This is impaired when private (nothing in the article suggest her writings were public) writings/speech and possession of books/writings are criminal offenses. When public speech to willing listeners in the proper manner, place and time is made criminal there is right and duty of rebellion. Should I admit to possession of plans for a .50 caliber air rifle or encyclopedias which show the inner workings of bombs, possession of ammonium nitrate, diesel fuel, pipe and roofing nails or should I not. Will not also mention various field manials, surgical texts, cook books and knives either. After all, combined with the statement "All tranzis are evil. Evil must be purged". the State will conclude I am a terrorist and committed assault on Tranzis.. That is where the British prosecution of an obnoxious adult leads. Words can be an assault, indeed. It is dubious you know what the law is your state, notwithstanding, misdemeanors are criminally punishable. Look up your state statutes. Miss Maliki isn't a founding father just a stinking terrorist. She had a profile on the social networking website Hi-5, where she called for the execution of "depraved" Westerners . The British-born Muslim listed her interests as helping the Mujahideen "in any way I can". Now, don't ya go and get yourself arrested. USA has similar legislation. I thought you might like this spoof of a hiring interview at a "major university" for a Friday morning chuckle (see link below). I enjoy your site very much. Thank you for all your hard work. 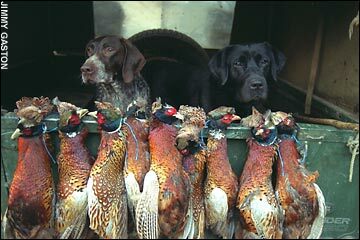 And I'm a little envious that you'll have such nice pheasant for dinner. She had a library of material that she had collected for terrorist purposes. Malik, who worked as a shop assistant airside in a branch of WHSmith at the airport, also owned an Al Qaeda encyclopaedia of Jihad, a Mujahideen poison handbook and a 'terrorist handbook' which explained how to make bombs. On the hard drive of her computer police found a copy of a sniper rifle manual, a firearms manual, anti-tank weaponry, a document entitled How To Win Hand To Hand Fighting, and pictures of weapons. She also tried to donate money to a terrorist group. I wonder if the Brits tolerate the veil in prison, I'd prefer a pink one for Samina and blue ones for the boys ward or do you suppose they have intergrated wards? Inherent in free speech is the fact it is distasteful, treasonous and poisonous. When words turn to deeds, they should be punished. But not until. Monitor her, bug her computer and apartment, deny her a security clearance, deport her if not a citizen, all good things to do. Sending some one to prison because she had bad thoughts and bad books not good. But the reason it's a crime to yell 'fire' in a crowded theater is that it 'causes' acts of violence. Incitement-to-Riot is, tho, for a fact, a law to which incipient dictators will run first. Many forms of speech have been and are criminally punishable and always have been in the several states of USA. Thanks, Leag. Also pertinent is the ''fighting words'' body of case law. Connecticut verbal assault statute in Google. Fighting words are not protected speech. Animatronic Elvis looks like a bore. How about a little less conversation? LOL. Even Baez knew they (I suppose I should say we. I was not a war protester but I was a fan of a lot of the 60's music) were morons. What's wrong with fighting manuals? They are fun to read, and not illegal. Useful, in fact. Nothing wrong, just as the poems were probably not a crime if viewed just on their own but I think the British court may have considered the total of the circumstances and all the evidence accumulated. "...when the Professor of Politics at the University of Virginia decided to write the (1997) book � due to being fed up with the prevalent anti-Americanism (abroad as well as stateside) � it was during the supposedly warm and cuddly Clinton days of yore!"